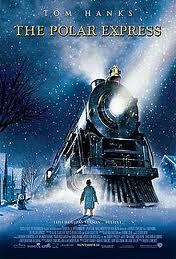 The Polar Express isn't the worst holiday movie we've seen, not by a long shot. But I'm having a very hard time thinking of another that's this bad made at this budget. As such, we're going to honor this with a slightly different approach. Lindsay and I see pretty much eye-to-eye on this one, and we both collaborated on the following points. The movie's most obvious flaw is the character work. This was one of the earlier attempts at using motion capture to make an animated film. There's a reason that Pixar regularly boasts about NOT using this technology: while it's certainly opened some fantastic doors adding impossible characters to live action films, it's been a blight upon the world of animation since its inception. People move the way they move, in part, because of the size and shape they actually are. If you change that size and shape; say, by altering the relative size of a character's head (a common stylistic choice in animated movies) that changes how they should move. Capturing an actor's movements only guarantees you're going to get this wrong. Allowing them to exaggerate their mannerisms to fit an antiquated notion of what constitutes a cartoon just makes the whole thing look that much more absurd. But movement is only the beginning. Characters' faces are inhuman in this film. There's something horribly wrong with the matting and/or perspective here. It looks as though they've overlaid a two dimensional face on a three dimensional head, leading to some extremely jarring angles. None of the characters look right in this movie, but there's a girl who's so far off, she looks like a space alien most of the time. Let's move on to the voice cast, by which I mainly mean Tom Hanks, who voices six characters for no discernible reason. I suppose he does a fine job, provided he's trying to imitate Tom Hanks in all six of his roles. Most of the kids are voiced by actual kids, with the exception of "the know-it-all," who was a 54-year old man masquerading as a kid. Badly. 1. Kids should always go with strange men, because their vehicles might be "magic." 2. Always listen to hobos. Again, they could be magic. 3. Don't hesitate to go places that are clearly dangerous and not intended for kids. It's the best way to confront your fears. 4. Believe in things you can't see, like ghosts, Santa, and presumably Jesus. Then you'll see them, because they're obviously real. The plot is thinned to the point that it's basically non-existent. To fill the time, they stick in a handful of crappy songs, boring adventures, and cheesy effects. The worst parts of this movie, without a doubt, are the scenes in it. I'm going to set aside the North Pole, though, because I kind of like that sequence in spite of itself. It doesn't actually make sense - and it actually undermines the entire premise by showcasing a cryptic city echoing of abandoned malls and amusement parks unworthy of belief even if it existed - but the setting has a stark and disturbing tone I dig. Then there are Ferengi elves, Santa Claus brutally whipping his puppet-like deer with a laser-whip, and a magic sleigh which hits 88 mph and takes Zemeckis back to a far better time in his career. So, "The Polar Express" is one of the worst big-budget family Christmas movies out there. However, the character designs are just warped enough, the sequences are just campy enough, and the North Pole is just screwed up enough, it might be one of the more enjoyable Christmas horror movies I've seen. Never mind that it's unintentional: this thing is terrifying. I'm not sure I'd recommend it sober, but with a few drinks in you and the right crowd, this could be a hell of a lot of fun.